2017 YEAR IN REVIEW: Coming off a year in 2016 when THREE New York Giants earned All-Pro honors, everyone expected the secondary to be a team strength in 2017. Instead, there was turmoil on and off the field. The team’s top three cornerbacks were suspended for violating team rules and conduct detrimental to the team. 2016 1st-rounder Eli Apple regressed terribly, was benched, and started only seven games. All-Pro Dominique Rodgers Cromartie saw his pass defenses plummet from 21 and six interceptions in 2016, to just one pass defense and no interceptions in 2017. All-Pro Janoris Jenkins was nagged by an ankle injury that eventually landed him on IR and required surgery. The only bright spot at corner was the surprise play of Ross Cockrell, who the Giants traded for in September. It got so bad that Brandon Dixon ended up starting five games for the Giants. At safety, All-Pro Landon Collins also regressed, bothered by a nagging ankle injury he suffered in early October and then fracturing his arm in December. While he made the Pro Bowl, he didn’t have the impact season he had the previous year. After spending his rookie season on IR, Darian Thompson started 16 games, but he lacked physicality and didn’t make many plays. Andrew Adams saw his playing time decrease, but still played in all 16 games with four starts. Nevertheless, Thompson and Adams combined for only eight pass defenses and one interception on the season. Once again, Nat Berhe was a non-factor with just 12 tackles in 15 games. ADDITIONS/SUBTRACTIONS: The Giants cut Dominique Rodgers-Cromartie in March and Brandon Dixon in May. Ross Cockrell and Nat Berhe left the team in free agency. Corner Darryl Morris remains unsigned and won’t be back. The Giants signed free agents CB/S Curtis Riley, S Michael Thomas, CB Teddy Williams, CB C.W. Webb, CB William Gay, S Orion Stewart, and CB Chris Lewis-Harris during the spring as well as rookie free agents CB Grant Haley and S Sean Chandler after the draft. 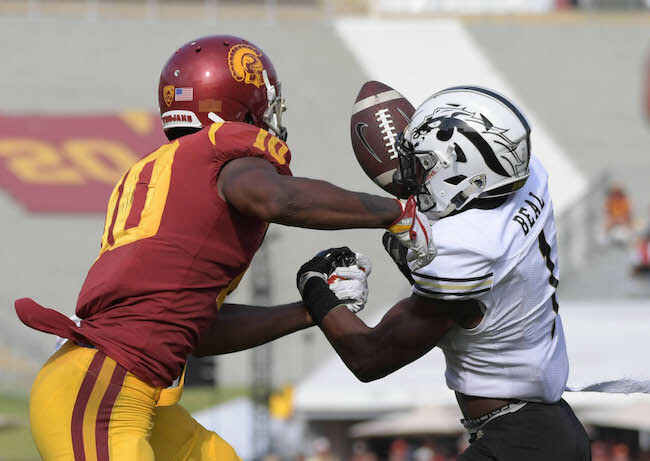 The surprise move was the team selecting CB Sam Beal in the 3rd round of the 2018 Supplemental Draft. 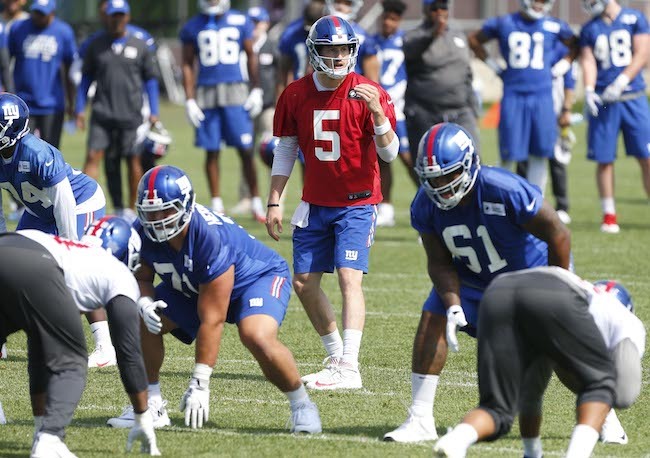 TRAINING CAMP STORY LINES: The transaction wire this offseason was dominated by defensive back moves, but the ultimate success or failure of the secondary in 2018 will largely depend on whether or not Janoris Jenkins, Eli Apple, and Landon Collins can rebound. We’ll have to see where Jenkins’ head is after it was revealed that his brother allegedly killed a man in his home. Collins needed a second surgery to repair his arm fracture and was limited in the spring. Much media and fan focus will be on Eli Apple, who almost ran himself off of the team but so far has been acting and practicing much better. If Jenkins and Collins can revert to All-Pro form and Apple can become a viable starting NFL corner, then the other issues in the secondary will be much easier to deal with. If not, the Giants could be rough shape here. The quick demise and subsequent release of Dominique Rodgers-Cromartie left a huge hole in the secondary. Until the Supplemental Draft, Dave Gettleman’s approach at corner had been to sign quantity over quality, hoping to strike lightning in a bottle. That changed with the selection of Sam Beal. Nevertheless, the team still needs to identify a nickel corner. At safety, who starts opposite of Landon Collins? During the last mini-camp, with Collins and Darian Thompson on the sidelines, ex-CB Curtis Riley and Andrew Adams were playing at safety with the first team. Newcomers Michael Thomas, Orion Stewart, and Sean Chandler also now join the competition. ON THE BUBBLE: Other than Janoris Jenkins, Landon Collins, and Sam Beal, no one is completely safe. 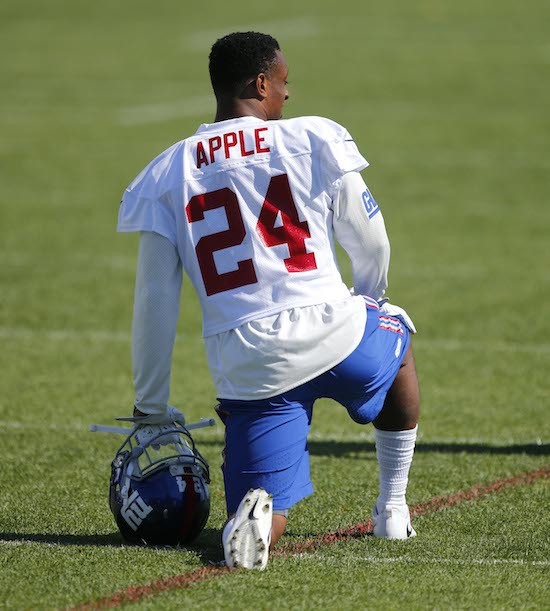 Eli Apple is likely to make it unless he has another mental implosion simply because the Giants are weak at the position and Apple still has a tremendous amount of upside. 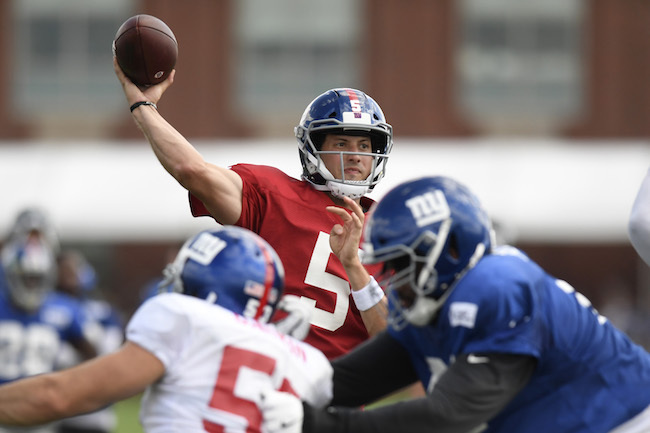 Not only do all of the other players have to worry about current competition on the roster, but look for the Giants to actively scan the waiver wire all summer. Some of the new journeymen vets are good special teams players and that will help their cause, most notably Michael Thomas. PREDICTIONS: As long as the injury bug doesn’t hit (a big if), the Giants are not in as dire straits here as many think. Janoris Jenkins and Landon Collins are two of the best players at their respective positions in the NFL. Eli Apple seems poised for a rebound year. Acquiring Sam Beal in the Supplemental Draft was a bold move that may fill a glaring need. The two big questions are finding a free safety to complement Collins and a nickel corner. My guess is that William Gay takes on an Everson Walls-type leadership role and adequately handles the nickel spot. Curtis Riley, Darian Thompson, Andrew Adams, and Michael Thomas most likely will be battling it out for the free safety position, unless someone else shakes free on the waiver wire. FINAL DEPTH CHART: We’re going to hear a common refrain from fans throughout the preseason… “Who are these guys?” My guess is that Janoris Jenkins, Eli Apple, Sam Beal, William Gay, and Grant Haley make it at cornerback. At safety, Landon Collins, Curtis Riley, Michael Thomas, and the winner of the Darian Thompson/Andrew Adams competition. That being said, I would not be surprised to see one or two waiver-wire pick-ups in the defensive backfield. The New York Giants have drafted cornerback Sam Beal (Western Michigan) in the 3rd-round of the Supplemental Draft. 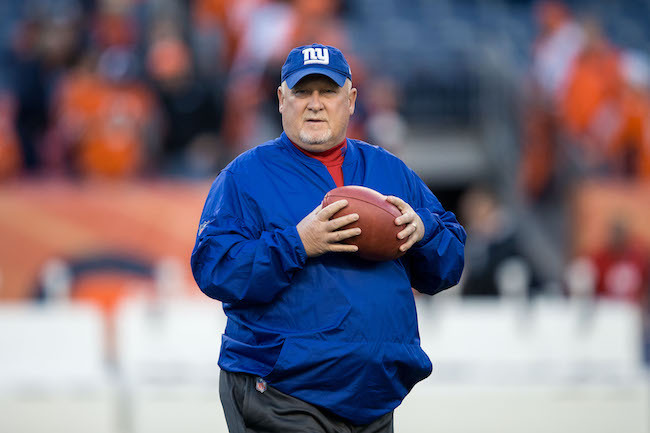 By drafting Beal now, the Giants forfeit their 3rd-round pick in the 2019 NFL Draft. This is the first time the Giants have selected a player in the Supplemental Draft since safety Tito Wooten in 1994. Beal was widely considered the best player available in the Supplemental Draft since wide receiver Josh Gordon was selected by the Browns in 2012. He was also projected by some to be a top-five corner in the 2019 NFL Draft. Beal combines good body length (6’1”, 185 pounds) and overall athleticism (4.5 in the 40-yard dash). He’s a smooth, natural cover corner who can flip his hips and has quick feet. Beal does need to improve his run defense. “We feel like we’re getting our third-round pick now,” said General Manager Dave Gettleman. “We discussed it at length yesterday, and had a great conversation. We basically had a draft meeting in the office, with people on the speaker phone who had seen him. It was a very thorough conversation. To make room for Beal, the Giants waived cornerback Kenneth Durden. The Giants signed Durden in June 2018. He was originally signed as an undrafted rookie free agent by the Oakland Raiders after the 2016 NFL Draft. He spent his rookie season on the Raiders’ Practice Squad before being cut in September 2017. The Tennessee Titans then signed him to their Practice Squad and cut him in October 2017. The New York Giants have signed unrestricted free agent cornerback William Gay (Pittsburgh Steelers), who was cut by the Steelers in March. The 33-year old, 5’10”, 187-pound Gay was originally drafted in the 5th round of the 2007 NFL Draft by the Steelers. Gay has played in every regular-season game in 10 seasons with the Steelers (2007-2011, 2013-2017) and one with the Arizona Cardinals (2012) with 101 starts. Despite all of that playing time, Gay has just 13 career interceptions. Gay is a savvy veteran who can play the slot corner position but who also is clearly in the final stages of a solid career. He lacks speed and saw his playing time markedly decline in 2017. Good locker room presence. The Pittsburgh Steelers have signed New York Giants unrestricted free agent safety Nat Berhe, who had his fourth nondescript season for the Giants in 2017, playing in 15 games with no starts and accruing just 12 tackles and one sack. Berhe was drafted in the 5th round of the 2014 NFL Draft by the Giants. He played in all 16 games as a rookie, mostly on special teams. Since then, he has proven to be an injury-prone player, missing all of 2015 with a blood clot in his leg, over half the season in 2016 with two concussions, and one game in 2017 with a hamstring injury. In all, Berhe has played in 38 games with two starts in four seasons, accruing only 47 tackles and one pass defense. 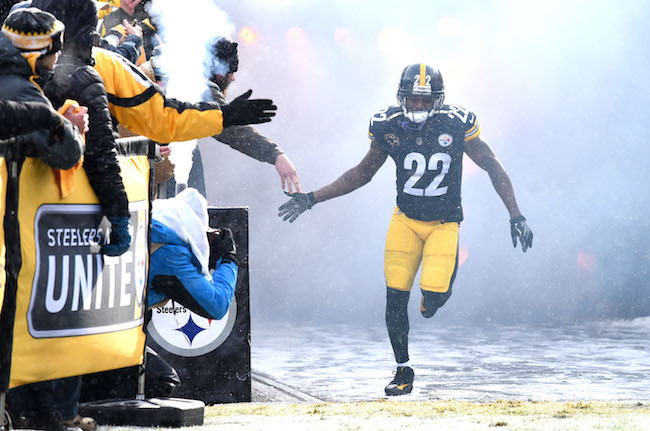 Unrestricted free agent cornerback William Gay (Pittsburgh Steelers), who was cut by the Steelers in March, reportedly will visit the New York Giants on Thursday. The 33-year old, 5’10”, 187-pound Gay was originally drafted in the 5th round of the 2007 NFL Draft by the Steelers. Gay has played in every regular-season game in 10 seasons with the Steelers (2007-2011, 2013-2017) and one with the Arizona Cardinals (2012) with 101 starts. Despite all of that playing time, Gay has just 13 career interceptions. Gay is a savvy veteran who can play the slot corner position but who also is clearly in the final stages of a solid career. He lacks speed and saw his playing time markedly decline in 2017. Good locker room presence. New York Giants unrestricted free agent safety Nat Berhe is visiting with the Pittsburgh Steelers. Berhe had his fourth nondescript season for the Giants in 2017, playing in 15 games with no starts and accruing just 12 tackles and one sack.